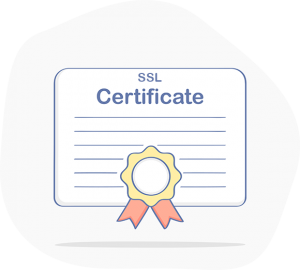 Should You Have An SSL Certificate For Your Website? You may find that you have a good product list going, your website looks good, and you have registered the perfect domain name. What happens when you have a member of your local chamber of commerce that asks you over a lunch meeting if you have taken care of security with an SSL certificate for your small business website? Believe it or not, there are many small business owners that do not even know what an SSL certificate does or how it works. 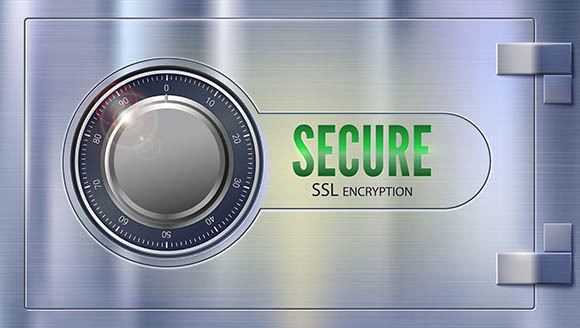 SSL stands for Secure Sockets Layer, which is the manner in which a small business communicates to their web visitors their information is shared securely online while they browse the website to purchase products or services. The SSL is there to create a safe connection for all of these types of activities online. The SSL certificate basically protects your website and all of your visitors from getting hit with problems on the web. What you need to know is that there is no such thing as a website that is too small to be targeted by scammers and unsavory elements online. Any website can and will get hacked if you are not careful. Many of the interceptions will actually take place electronically and without a human being involved in the decision of who gets attacked. The SSL certificate is there to create a connection that is encrypted between the browser of your visitor and the service. The secure session is established during a process that involves a bit of back and forth between the web server and the browser. This all takes place behind the scenes without causing issues with the browsing or shopping process, so your visitors enjoy a seamless experience and all valuable information passed between the parties will remain protected. Having your website protected with an SSL certificate will make sure that any password protected pages are taken care of. This will include databases such as Joomla! or WordPress, which are database-driven sites that include login pages for administrators. Any membership site that has multiple logins will also be vulnerable to an attack by black-hat attackers. You need to remember that anything that has to be secure online will have to have an SSL certificate in place as a safety net. The internet is loaded with bots that are scouring for pages with poor password protection so that they can gain access to your website. The last thing you want is to login to find out that your pages may have been tampered with or deleted. If you are planning on accepting payment via major credit cards online, you will want to look for a merchant account that will more than likely require an SSL certificate. Some hosting companies will also have terms and conditions that will require the same certification before any credit cards can be accepted. You never want to leave your customers card information at risk when they are shopping on your website as this is not good for business. There are some programs with shopping carts for online stores that will have a payment system that has built-in security. In such a case, there will be a third party that takes care of the credit cards or there will be another payment method offered when shopping online. With this process, you may not need an SSL for your business for the checkout page. There are some websites that simply collect information rather than online payments, such as a website that compiles leads for realtors, etc. When you are going to be collecting any sort of information from your visitors, even just their name and address, you need to keep it all secure. If you do not have an SSL certificate, there are some kinds of mail that could be subject to interception. The last thing that you want to do is take chances. In addition, Google is now alerting consumers when they are browsing on a connection that is not SSL secure. It is not a good look for your website to have the glaring notification Not Secure in the consumers toolbar, warning the visitor they should not enter any sensitive information on your site or it may be stolen by hackers. If that doesnt move you to action, Google also uses SSL/HTTPS as a ranking factor. These are the reasons why you need to be thinking about proper SSL certification for your website. This is a must when it comes to any business that handles information or online payments. Never give potential customers or visitors a reason to not want to take part in business with you. Top Marketing Agency is proud that all of our client websites are SSL secure, and come with malware and anti-virus protection including WAF and offering CDN. To learn more about our digital marketing services or to request a consultation, contact us at (888) 843-9840. 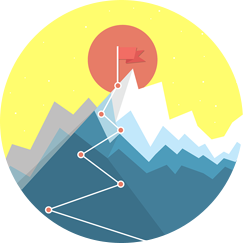 Are you paying for SEO and not getting results? See how your website is performing with our FREE SEO audit tool!